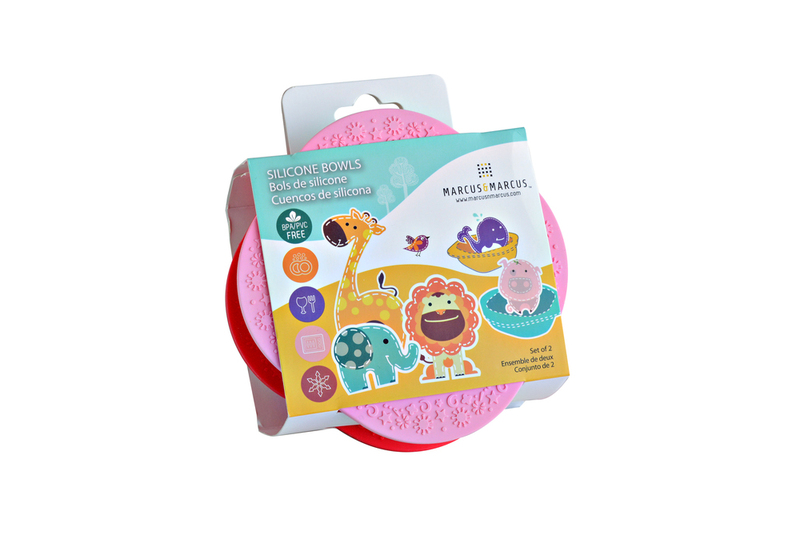 Marcus & Marcus silicone bowls come in sets of two bright colors and are made from food grade silicone. These products are dishwasher safe, BPA/PVC and Phthalate free. Available in two color sets: pink/red and yellow/green!